Daniel	P.	Lutz is the Director of University Bands at the University of Massachusetts Lowell. In the performance area of Department of Music, he serves as Conductor of the Concert Band, Jazz Rock Big Band, Pep Director, and Director of the much acclaimed Marching Band. Mr. Lutz is a composer and arranger of works in a wide array of media. With hundreds of works to his credit, commissions have included concert and orchestral works, pieces for jazz ensembles, theatre, corporate video, and commercial radio and television. Commissioned works for wind band include the compositions "Dichotomy... Impressions of Kerouac" inspired by the writings and life of the poet and Lowell native Jack Kerouac, "Hemispheres" a work for middle school band inspired by the functions of the regions of the human brain, and a new work on this afternoon’s program, “Seeds of Revolution” inspired by the ideas which bore our nation’s independence. In the educational community, Mr. Lutz has served as guest conductor at numerous state music educators festivals in addition to the Massachusetts Music Educators Association Regional Honor Bands in the Northeast, Southeast, Central and Western Districts. In his role as Director of University Bands at UMass Lowell he has received the University's Student Government award for teaching excellence and for advisor of the Year. Under his direction, the UMass Lowell Bands perform throughout New England. Accolades have included performances for the President of the United States, the Governor of Massachusetts, and numerous television appearances. For more than thirty years, Mr. Lutz has directed various musical ensembles and has served as a clinician addressing composition and musical performance throughout the United States and abroad. 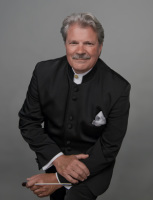 Dan is a member of the Massachusetts Instrumental and Choral Conductors Association Hall of Fame and the Massachusetts Drum Corps and Music Educators Hall of Fame. Dr. Stephen A. Paparo is Assistant Professor of Music Education at the University of Massachusetts Amherst, where he teaches undergraduate and gradate courses and conducts the University Chorale. Dr. Paparo holds degrees from Michigan State University (Ph.D.), Syracuse University (M.M. ), and Ithaca College (B.M.) and specializes in choral music education. He is a Guild Certified Practitioner of the Feldenkrais Method® of Somatic Education and incorporates this body awareness technique in the choral rehearsal to develop healthy and resonant singing. As a former public school teacher, Dr. Paparo taught junior and senior high school choral music for ten years in New Hartford, NY and earned National Board Certification in 2003. Dr. Paparo is active as a guest conductor and clinician. He recently conducted the Massachusetts Music Educators Association Western District High School Honor Choir, the Massachusetts All-Cape and Islands High School Choir, and the New York State School Music Association Zone 10 Area-All State Chorus. He regularly presents at state, national, and international conferences, including the Massachusetts Music Educators Association Conference. He has published a study on collegiate a cappella in Music Education Research and articles on adapting and arranging choral music and teaching improvisation in the choral rehearsal in Massachusetts Music News. Dr. Paparo is Student Activities Chair for the Massachusetts American Choral Directors Association. Thomas Palance is a renowned trumpet performer and educator known for his versatility and innovative teaching style. In 1982, Tom toured Europe with the American Chamber Winds and was Director of Bands at Manchester High School West. In 1985 in addition to performing with numerous leading artists such as Dizzy Gillespie, Doc Severinsen, Diane Schuur, Red Skelton and Bob Hope, Tom held the positions of assistant principal trumpet with United States Navy Band’s premiere Concert Band and was Chief in Charge and soloist of the Commodores jazz ensemble. These groups performed regularly at The White House, Pentagon, Kennedy Center and other prestigious venues in Washington, DC. Tom has since retired from the Navy after twenty years of service and currently resides in Ipswich, where he continues to teach and to freelance. He formed The Orchestra On The Hill in 2009 of which he is presently the Musical Director. Tom is currently on the faculty at The Boston Conservatory and at Salem State University where he runs the North East Jazz/Recording camp, directs the jazz band and teaches trumpet. Tom also has been an artist and clinician with Yamaha Musical Instruments for 14 years. The 2013/14 season marks Bruce Hangen’s 16th season as the Music Director of the Orchestra of Indian Hill, having been appointed in 1997. Associated with Indian Hill Music of Littleton, Mass., this is the only professional orchestra serving central Massachusetts and southern New Hampshire, and complements Indian Hill’s parallel purpose of providing the finest in music education through its community music school. Comprised of greater Boston area professional musicians, the Orchestra of Indian Hill performs a series of symphony and other concerts featuring renowned soloists. position he serves as the Conservatory’s principal orchestral conductor as well as director of both the orchestra and conducting programs. He conducts all of the Conservatory Orchestra concerts as well as opera and string orchestra productions, and teaches conducting at the Master’s degree level to a select handful of international Conducting Majors. Recently, Bruce Hangen completed his tenure as the Principal Pops Guest Conductor of the Boston Pops Orchestra. This position was created in May 2002 especially for Hangen, reflecting the strong musical relationship built between him and the Boston Pops over two decades of regular guest conducting. He also has had the title of the Boston Symphony’s Germeshausen Family Youth Concerts Conductor’s Chair. Other past positions include the Artistic and General Director of the Portland Opera Repertory Theatre (P.O.R.T.) of Portland, Maine in the summer. Having founded the company in July 1995, Hangen was the chief visionary force behind this opera company and its activity. P.O.R.T. presented an annual July festival of main-stage and other performances consisting of singing, directing and producing talent from the world’s greatest opera stages. Mr. Hangen conducted P.O.R.T.’s performances. During the two seasons 1998-2000, Bruce Hangen was Acting Resident Conductor of both the Utah and Kansas City Symphony Orchestras. Both positions included a wide variety of concert programs, ranging from subscription concerts to family, youth, pops, tour, and outdoor summer series concerts. Before taking the Omaha Symphony Music Directorship, Hangen was for ten seasons (1976-86) Music Director and Conductor of the Portland (Maine) Symphony; six years (1973-79) Associate Conductor of the Denver Symphony; four years (1975-79) Music Director of the Arapahoe Chamber Orchestra in Denver; six summer seasons (1966-72) Assistant Conductor of the Colorado Philharmonic (now the National Repertory Orchestra). In the 1972-73 season alone, Hangen held three positions as Assistant Conductor of the Syracuse Symphony, Conducting Assistant of the Buffalo Philharmonic, and Faculty Conductor at the Eastman School of Music. A graduate of the Eastman School of Music with a major in conducting, Hangen was also a conducting fellow at the Berkshire Music Center at Tanglewood for two summers, where his conducting teachers included Gunther Schuller, Seiji Ozawa, Leonard Bernstein, Michael Tilson Thomas, Stanislaw Skrowaczewski, Bruno Maderna and Joseph Silverstein. During his student days at the Eastman School, Hangen formed the Baroque Chamber Orchestra and co-founded and conducted Zeitgeist in Musik, a contemporary chamber ensemble. Bruce Hangen maintains an active schedule of guest conducting. Recent appearances have included concerts with the Detroit and Dallas Symphonies, the Edmonton Symphony and the Florida Philharmonic as well as the orchestras of St. Louis, Baltimore, Pittsburgh, San Francisco, Atlanta, Jacksonville, Naples (FL), and Houston. In earlier seasons, Mr. Hangen also has conducted the orchestras of New York, Minnesota, Syracuse, Houston, Birmingham, New Orleans, San Antonio, New Jersey, Santa Barbara, New Mexico, Hartford and New Haven. His repeat engagements with the Boston Pops and Boston Pops Esplanade Orchestras alone totaled well over two hundred performances since 1979. Mr. Hangen also has guest-conducted orchestras in Japan, Canada, Taiwan and New Zealand as well as opera companies in Chicago, Fargo, and Tacoma. Bruce Hangen remains strongly committed to education. At the collegiate level, Hangen has conducted the orchestras of The Boston Conservatory, the New England Conservatory of Music, the Hartt School of Music, the Eastman School of Music, the Oberlin College Conservatory of Music, the Yale School of Music, the Shepherd School of Music as well as ensembles at the California Institute of the Arts. His successes have also included appearances as conductor of high school all-state festival orchestras in New York, Colorado, Connecticut, Maine, Montana, New Hampshire, Rhode Island, Virginia, Nebraska, Minnesota and Massachusetts. 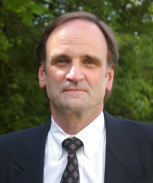 Mr. Hangen is the recipient of an Honorary Doctor of Fine Arts degree from the University of New England, and in Omaha he received the ICAN Foundation’s Browning Award for Career Excellence and Vision.